If waking up in the morning feels like a nearly insurmountable task or you feel the midday slump hit after lunch like clockwork, chances are you may have a vitamin deficiency that a third cup of coffee just can't fix. So, instead of overdosing on caffeine and staying up all night, you may want to try to energize yourself the natural way. Since the vitamins and supplements aisle at the pharmacy can be a daunting place, we asked a doctor to explain to us exactly what are the best vitamins for energy. 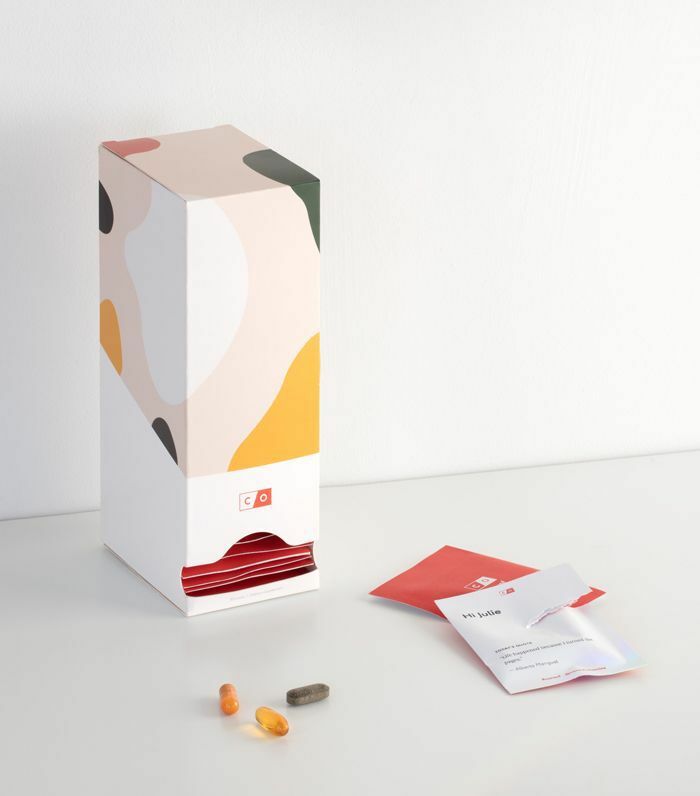 Jeffrey Gladd, MD, is on the Scientific Advisory Board for Care/Of, a startup that's revolutionizing the wellness industry by providing a personalized vitamin subscription model that's shipped straight to your home monthly. 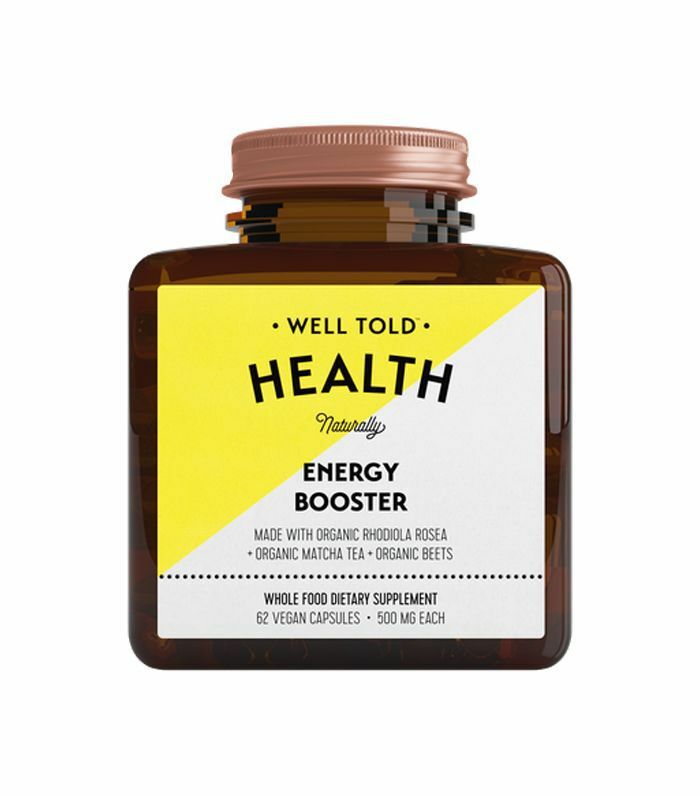 Wondering which vitamins for energy you should be taking to boost your productivity levels? Gladd gives us the lowdown so all we have left to do is tackle that scary to-do list. "Vitamin B12 is essential for the body to keep our blood cells healthy, support nerve and DNA growth, and help the body with energy metabolism," says Gladd. "Nearly 1 in 10 people in the U.S. are deficient in B12, and several more don't get the recommended daily amount due to low dietary sources or poor digestive absorption. Vitamin B12 deficiency can cause fatigue, low energy levels, and other symptoms. A common source of B12 is animal foods, so if you are vegetarian or vegan, you may not be getting enough. As you get older, B12 may also become harder for the body to absorb, so additional supplementation can help to ensure you're meeting your recommended daily amount." "B vitamins play a critical role in supporting the body's essential functions," explains Gladd. "Not only do they help produce more energy, but they help us create blood cells and ensure healthy growth and nervous system function. B vitamins are found in a variety of foods, but individuals who follow gluten-free, vegetarian, or vegan diets may not be getting the amount their body needs. B vitamin supplementation for those who may be deficient can to support increased energy levels and reduce fatigue and irritability." "Iron is essential for red blood cell production and impacts our energy levels and muscle health by transporting oxygen throughout the body," says the expert. "Iron should be supplemented for those who have spoken to their healthcare provider and are deficient. This is mainly because getting too much iron can be dangerous, promoting body damage. Common food sources are red meats and green, leafy vegetables. Common symptoms of deficiency that should prompt investigation are fatigue, muscle cramps, and restless leg syndrome." "Adaptogens, such as Rhodiola, play many different roles in supporting the body when it is under stress," explains Gladd. "Rhodiola can support a weakened system where fatigue and mental exhaustion may be the norm. Those who feel daily stress or low levels of energy on a daily basis may consider taking Rhodiola supplementally as needed. Recent studies have shown that Rhodiola also supports endurance and recovery after exercise. If you are incorporating adaptogens into your wellness routine, I recommend starting slow—paying attention to its effect on your energy levels, mood, and health. Feel free to continue for several weeks and gradually wean as to not use long-term." "Care/Of Quick Sticks are nutrient-packed powders filled with potent ingredients for a specific health goal. Quick Sticks are meant to complement your daily vitamin routine, providing an extra boost when you need it most," says Gladd. "Extra Batteries is made from vitamin B12, citicoline, and caffeine and supports attention, focus and mental energy. Vitamin B12 plays an essential role in our nervous system, and citicoline is a type of phospholipid that can help to increase the production of healthy messaging in the nervous system. Research has shown that moderate levels of caffeine can improve alertness and overall mood and decrease levels of fatigue. The sticks are intended to be taken as is (no water needed). Take no more than one Extra Batteries on a given day, whether that's after a late night or for an early morning start when you need a little extra energy. Due to the caffeine, those with anxiety or panic should consult a doctor before using Extra Batteries." Next up: the one vitamin you should take for a healthy metabolism.